Children who are both victims and bullies are three times more likely to have suicidal thoughts, or have planned and engaged in suicidal or self-harming behavior before the age of 12, compared to children who were neither bullies nor victims. Furthermore, children who were bullied over a long period of time were six times more likely to consider suicide. This increased risk was not explained by other factors like family circumstances or pre-existing emotional problems, according to a study by Dieter Wolke, Ph.D., a professor of psychology at the University of Warwick in the United Kingdom, published in the March issue of the Journal of the American Academy of Child and Adolescent Psychiatry. Wolke and three colleagues looked at data from 6,043 children, as well as from parents and teachers. “Health practitioners should be aware of the relationship between bullying and suicide, and should recognize the very real risks that may be evident earlier in development than commonly thought,” said Wolke in a statement. Targeting interventions from primary school onward could help to prevent chronic exposure to bullying, he said. 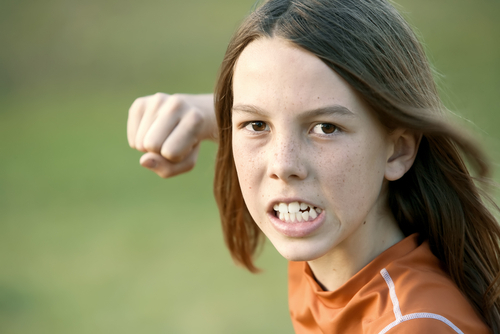 For more in Psychiatric News about ways to respond to bullying, click here.